Backyard Kitchen & Tap - San Diego Dining Dish! Pacific Beach has welcomed a new outlet for unwinding with a good drink and great food. Backyard Kitchen & Tap is just steps away from the beach on Garnet Avenue, and offers a relaxed setting for dinner or an after-work cocktail. 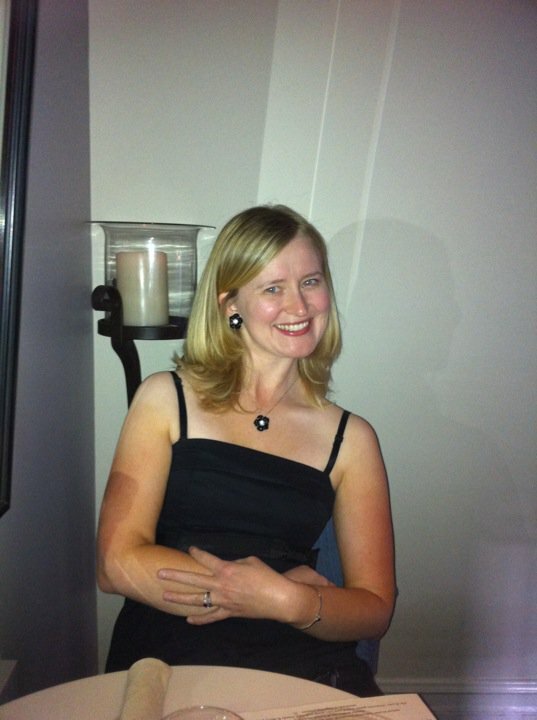 It is completely family appropriate, as well as being a great place for singles and dates to meet up. We started out our visit with two of their signature cocktails -- the spicy pear and the cherry jerry. The spicy pear was just as it sounds; sweet and refreshing with a spicy kick, garnished with a jalapeño. The cherry jerry was a sweet rum cocktail, reminiscent of a boozy Shirley Temple. It was a perfect match for the March balmy weather. The Baja shrimp ceviche was our selection for an appetizer, although the house-made potato chips were quite tempting. The ceviche was unlike any that I've ever had -- served in a red salsa with fresh avocado, sort of like a Latin-inspired shrimp cocktail. The sauce was quite spicy, and paired well with blue corn tortilla chips. For my dinner, I chose the chicken salad, which was, again, unlike any chicken salad that I've ever had out. I was expecting a typical grilled chicken sliced and served with a few adornments and some dressing. What I got was completely different and completely amazing. A chicken breast, pounded flat, then breaded and fried to a crispy "platter", with baby arugula served with shaved parmesan cheese, olive oil, and a spritz of lemon. I loved the simplicity of dressing this salad, and relying on the freshness of the ingredients for flavor. Steve chose the signature Backyard burger -- a Brandt beef burger patty served with cheddar and a heap of bacon! An all-American classic, served up just right with sea salt fries. A couple of bites and I was sold on this dude-food! I love a good burger, and this one did not disappoint! The grand finale was dessert. There were several yummy choices, including a modern take on the s'more, but we couldn't resist the berry and rhubarb crisp! A beautiful combination of sweet berries and the sour tang of rhubarb, with a huge scoop of vanilla ice cream! 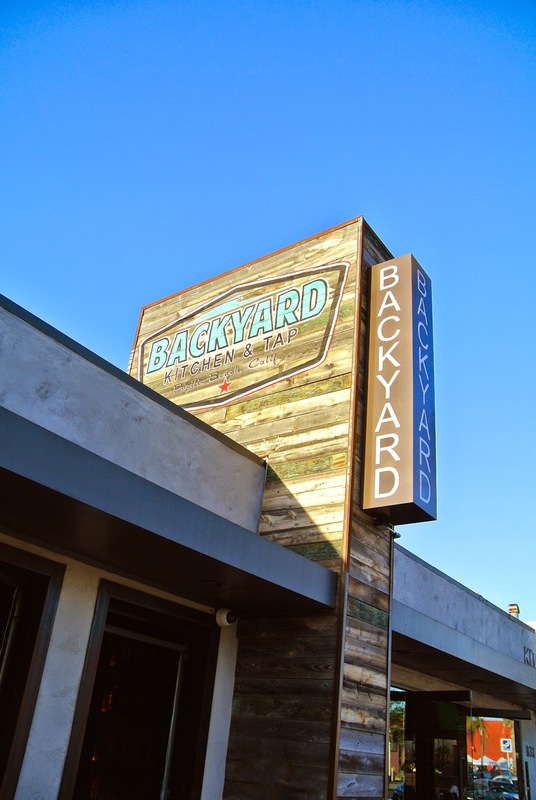 Backyard will definitely be a great addition to the Pacific Beach collection of pubs and casual restaurants.